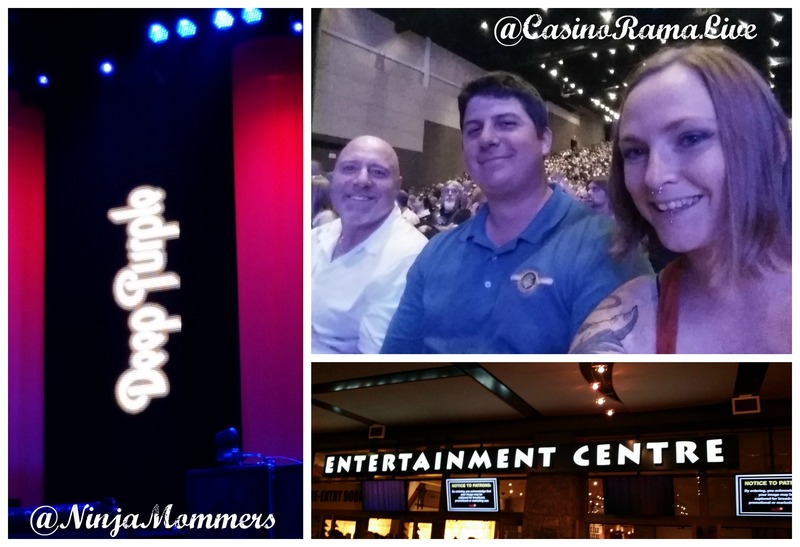 Our Anniversary was fantastic and we got to spend it at Casino Rama! Casino Rama is located in Rama, On. Which is just outside of Orillia in Ontario, Canada. Casino Rama is not only an amazing Casino, but boasts 8 amazing restaurants, a beautiful hotel, a spa and a state of the art entertainment center. 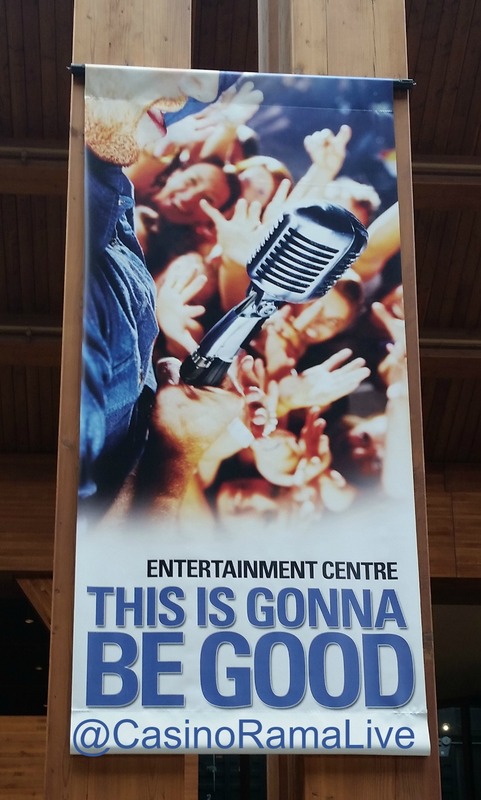 The Casino Rama Entertainment Center is not only a state of the art center that boasts 5,000 seats, but it also features weekly big-name shows all year round! 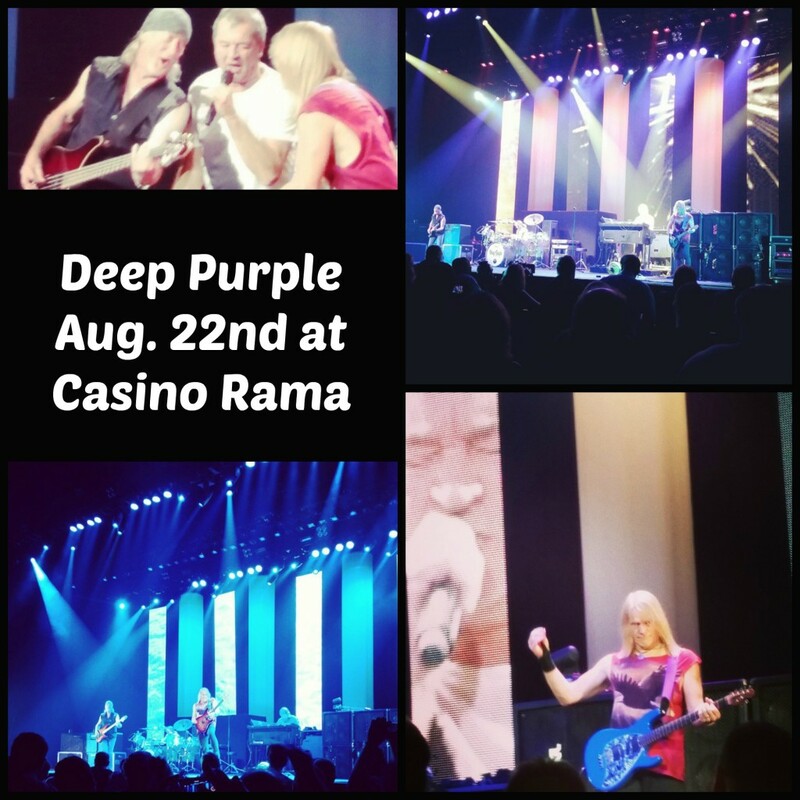 A little while ago went and saw Megadeth at Casino Rama and on Aug. 22nd, we also got to see Deep Purple at Casino Rama’s Entertainment Center! We were so excited. 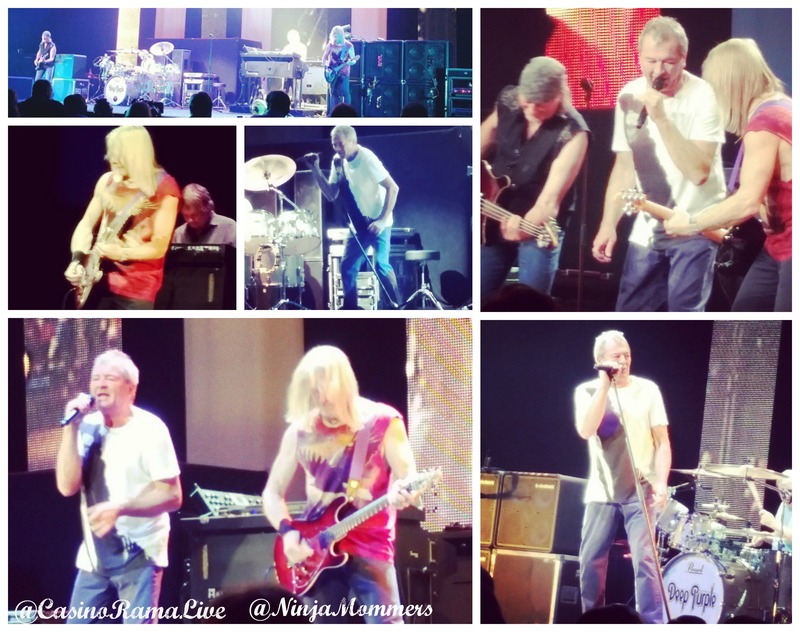 on Friday August 22nd 2014, Deep Purple played at the Casino Rama Entertainment Centre! My Husband, My Father in Law and I all went to see Deep Purple bring down the house! We Love the Casino Rama Entertainment Centre! We all filed into the Casino Rama Entertainment Centre to watch Deep Purple Live! Exciting right!? I KNOW! I couldn’t get over how full the venue was! So many people came out to watch Deep Purple perform and who can blame them? I could barely contain myself. As excitement washed over me, Deep Purple took the stage with a vengeance! The first song they chose to go with was “Highway Star” which is one of my absolute favourite Deep Purple songs! I was in my element and the crowd went wild. Deep Purple’s entire show sounded fantastic! I was so thrilled with how great the sound carried in the venue and of course, Deep Purple themselves didn’t hold back any either! Can they ever put on an amazing show! I loved that they did solo’s for each of the band members, one of which contained a little “Oh Canada” on the keyboard. When “Smoke on the Water” was played the crowd just lost themselves in the music, everyone was singing along! I started to cry, I know, I know, I am a sap. 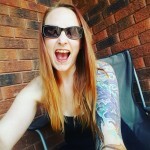 Deep Purple used to be one of my Dad’s favourite bands as well and he passed away when I was 13, something about hearing that song just made me wish he was there to share in the experience with me! Hubby, of course, got me through that moment by giving my hand a knowing squeeze and I went back to belting out “Smoke on the Water” with all I had. As the show came to an end, everyone was chanting for an Encore! OF COURSE! So Deep Purple didn’t hesitate to please! Out they came playing some awesome songs, one being “Hush”, which is… you guessed it! Another of my faves! I just love the Casino Rama Entertainment Centre so much! I have said it before, and I will say it again, it is one of my favourite places to go see a show! The acoustics are fantastic, the large screens that adorn the walls on either side of the stage are perfect and the shows are just amazing! I can not wait to go back again and would highly recommend it to ANYONE and EVERYONE who likes to enjoy some AWESOME entertainment! What Would You Like to See at the Casino Rama Entertainment Centre?